Gore noted this year’s 24-hour broadcast coincides with the United Nations climate summit in Poland, which is meant to further hash out the Paris climate accord agreed to at the 2015 conference. The theme of this year’s 24-hour broad cast is climate and health, Gore told the “Today Show” in an interview Tuesday. But Gore’s concern for the Paris accord comes as France delayed implementing global warming policies after violent protests broke out in City of Lights and other major cities across the country. 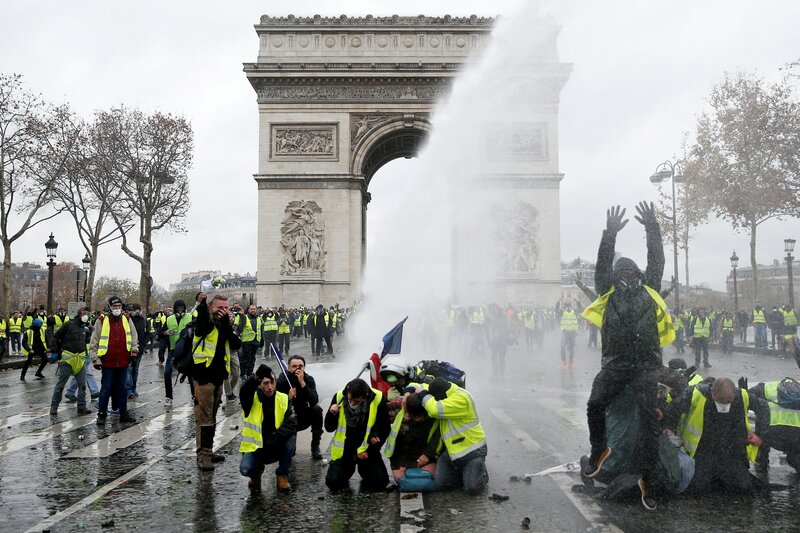 Protesters wearing yellow vests, a symbol of a French drivers’ protest against higher diesel taxes, stand up in front of a police water canon at the Place de l’Etoile near the Arc de Triomphe in Paris, France, Dec. 1, 2018. REUTERS/Stephane Mahe. The delay is seen a victory for protesters outraged over the tax increase. The carbon tax was the spark that set off many protesters who already felt crushed under the burden of rising energy and housing costs.